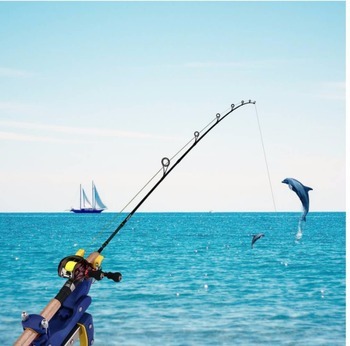 Offshore Boat Fishing Rod Holder Outrigger, Your Coolest Fishing Tackle, Heavy Duty Stainless Holder Rod, Horizontal and Vertical Quickdraw Mount Creative, Safe and Convenient!! NEW arrival. Fishing Makes You A Fun & Cool Life! Let's Get Started Now. 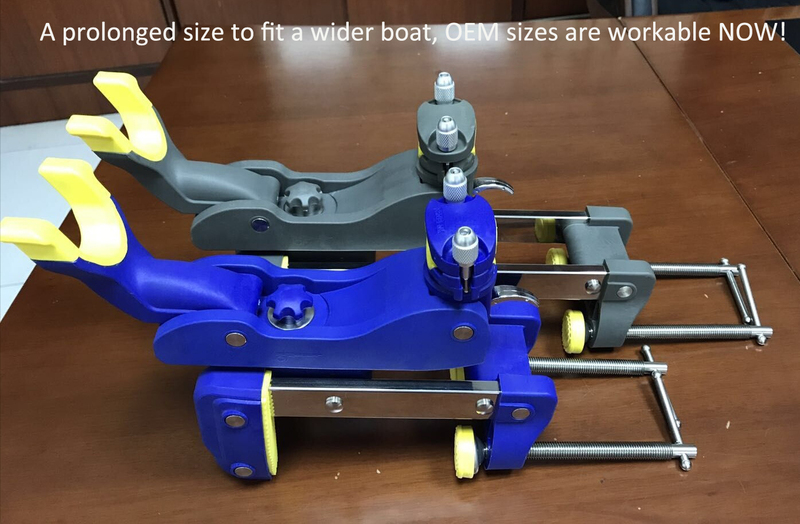 360 Degree Adjustable Tackle Rack Rail Mount, please see below the installation in details. 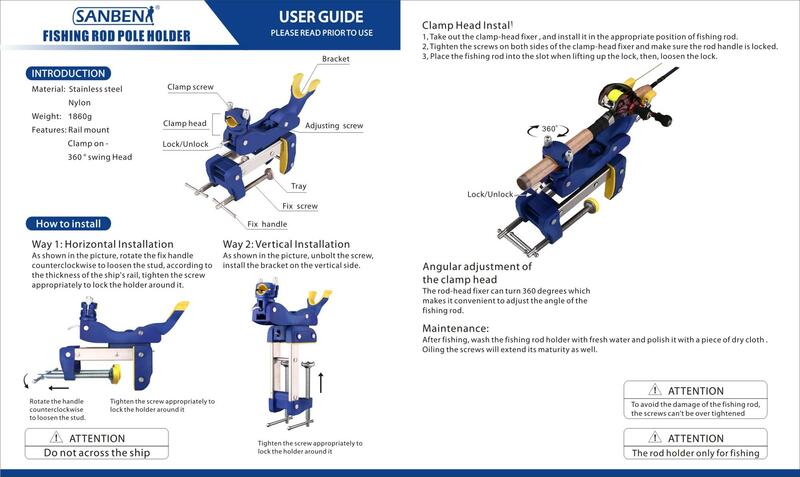 CLAMP MAX.OPENING 5 inch - Please kindly check your boat board size before buying. ECO-FRIENDLY MATERIAL & ANTI-CORROSION - Our fishing boat rod holder with high strength and corrosion resistance, is made of high-quality stainless steel and reinforced nylon plastic body . It is Suitable for both sea fishing and ship fishing. RUBBER PAD TO PROTECT BOTH YOUR ROD & BOAT - The part of contact with the hull and fishing rod is made of high-quality rubber which can fully protect your boat and fishing rod, and can be more anti-skid and be stalled more stably. Prevent rod from slipping into the sea when a huge fish got hooked. INSTALL IT WITHIN MINUTES - Our fishing boat rods was Heavy Duty Designed but the installation is very simple. It can be installed horizontally and vertically. With adjustment Angle of 360 degree , it can be installed in various installation conditions. Prefect gift for boyfriend, fiance, husband. 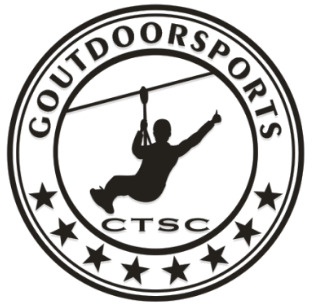 10-YEAR LIMITED WARRANTY, enjoy the outdoor leisure time! 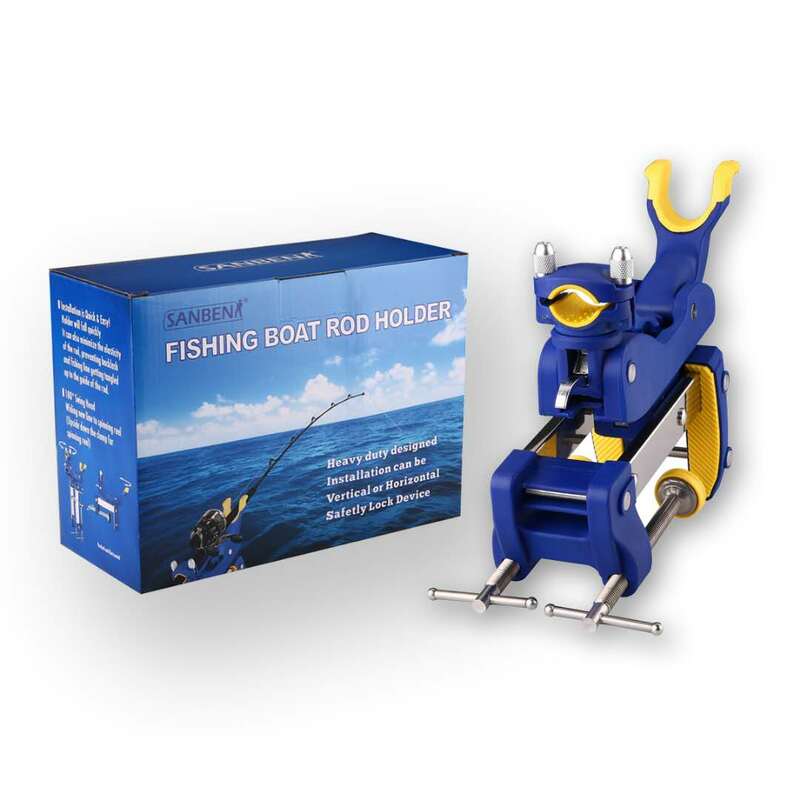 – Designed by Fishing enthusiasts, the durable fishing boat rod holder is the ideal way to make your smile. 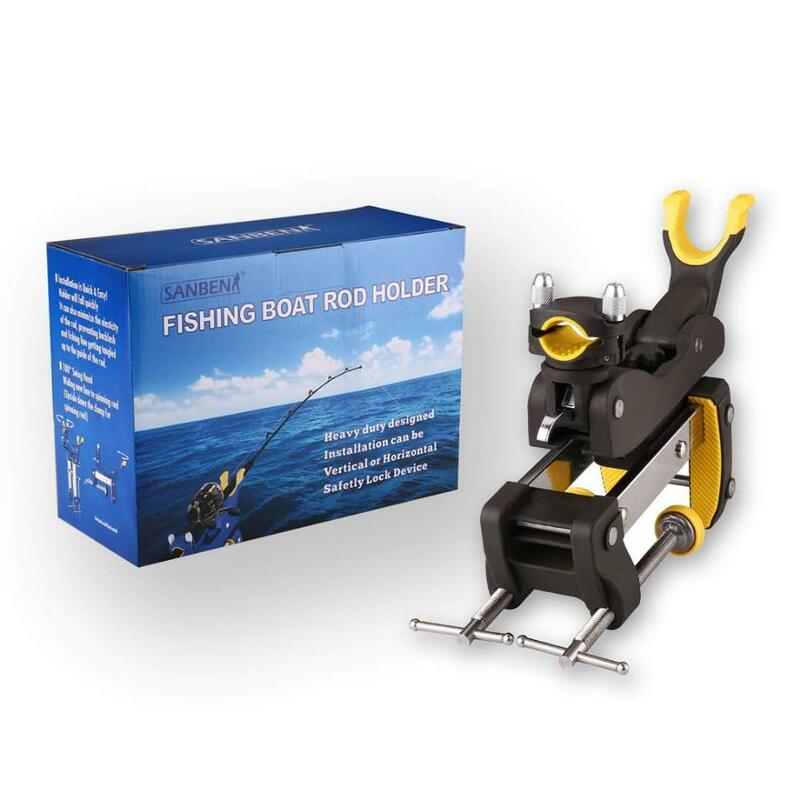 If for any reason you are not 100% satisfied with this heavy-duty fishing boat rod holder, you can always return it with a full refund in 30 days! Please don't hesitate to contact us First if ever a problem should arise,we'll do our best to help you solve it. Sea fishing has the history of more than hundreds of years in the developed countries of Europe and America. Together with golf, equestrian and tennis, it has been listed among the four noble sports and is always favored. Fishing lovers, having the rocks company, dancing with the waves, can have a lot of fun during this. It is in such environment that the sea fishing rod holder came into being. It frees our hands and lets us fully enjoy the sunshine, the blue sky, the sea breeze, the blue waves, and enjoy the leisurely and beautiful time. Sea fishing is both a kind of leisure and sport. Because on one hand it is exciting and fun, and on the other hand it can enhance both the physical and patience. The sea fishing and ship fishing are good for us, so get involved now!